With the studies that continue to show that working from home (WFH) leads to greater productivity and employee satisfaction, I find it very difficult to understand decisions like those made recently by Yahoo and Best Buy. Stanford’s study showed WFH led to a 13% increase in productivity – only 9% of which could be explained by a reduction of commute time and sick leave necessity. So why doesn’t WFH work as well for some? Organizations must identify the “slackers” and address that issue for the issue it is (at the employee level – not the company level). It might be highlighted and worsened in the WFH atmosphere, but those individuals who slack when WFH may do the same in the office, but with a broader negative impact to productivity. I know we have all experienced the office slacker that is always dragging others into conversations about the game, office politics, lunch plans… rarely getting anything done and reducing productivity for everyone. Second, you must have a level of trust for your remote workers. If they are delivering their goals, are available and responsive – you must trust that they are working just as hard as the folks in the office you see pecking away on their keyboards (remember: proximity ≠ productivity). Third, you have to have a culture in the office that supports WFH. That means helping them to set up an effective home office and not conference meetings where 1 or 2 people are on the phone and cannot follow along because the Power Point deck is not being shared virtually and people are talking over each other. That means pausing when asking the room if anyone has any questions to give the remote folks a chance to ask their questions (or provide their answers), too. And finally, it means recognizing that those who work remote often work more hours and have worse work/life balance than those who do not. It is important that this extra work is recognized, appreciated and communicated to the entire organization. This reduces that completely inaccurate assumption that the WFH staff is likely doing laundry and watching the game while everyone else is working. Are there companies who manage to make a company culture so strong that allowing WFH could take away from that? Of course! Just look at Google and Zappos. Both have created atmospheres so perfectly suited to any and all working styles and personalities that no one who works there would likely ever request to WFH. But…(you knew it was coming, didn’t you?) what about the talent great companies are missing out on because some of us cannot or will not relocate to California or Las Vegas? Truly, companies such as Google and Zappos can probably survive without the WFH talent (no matter how awesome we are. 🙂 ) But what about the Yahoos and Best Buys of the world? Can they really afford to not even consider extremely motivated and highly-productive talent that may require the ability to WFH? Companies willing to broaden their nets to include a greater diversity of work styles are going to get some really talented fish! And frankly, even for the school of fish graduating soon who have been immersed in technology that makes physical proximity nearly completely unnecessary, if there are companies allowing them to work from wherever they can dream of… well, I’d think companies like Yahoo and Best Buy could be left with empty nets. 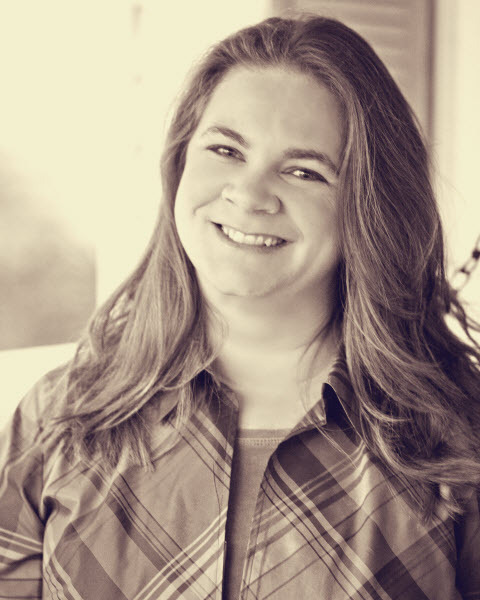 Kelly Wortham, Senior Manager, Global Site Optimization, Dell – Kelly has been working in digital analytics for the past 11 years with nearly 5 of those from home. She joined Dell in 2010 and currently remotely manages an international team of testing managers while coordinating between cross-functional teams that work together to plan, develop and prioritize Dell’s website testing roadmap. You can connect with Kelly through email, Twitter and LinkedIn. Next A Job Seeker Confession: Your Posting STINKS! I am based in Dublin, Ireland working predominantly for US and mainland European companies so I WFH 90% of the time. There are challenges (team building, communication etc) but since the issues are well recognised, strategies are in place to address them and I have developed great working relationships, even with people I have never met. As regards work/life balance etc, I do more hours than if I was in an office, because there is no commuting and chatting. Couldn’t agree more. Thanks for your input! Great TED talk, Niamh! Thanks for sharing. Thanks Yuan. I agree – the workforce has changed. 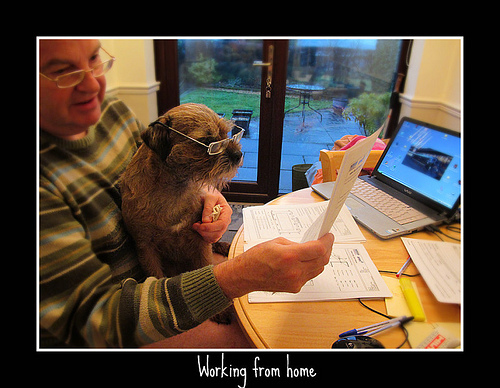 It’s important to adjust to those changes, but we must be sure that WFH makes the most sense. In some businesses, it doesn’t. In others, it’s a perfect fit. I have a mixed feeling about WFH. Yes, I become more productive when I work from home with fewer distractions. However, if I do it regularly it becomes boring and monotonous for me. Meeting with other people in office, exchanging ideas during coffee breaks can actually bring more creativity as compared to working alone. Thanks for your comment, Moksh. WFH isn’t for everyone and you’re right about in the office interactions. Just goes to show that we’re all different! I appreciate your comment. Thanks for reading. Moksh – Kirk’s right – it’s not for everyone. But there are ways an organization can help support some of that innovation and spontaneous creativity and still have remote workers. For example, some of the teams at Dell have “virtual coffees” where we each grab our coffee or tea and just hop on the phone to chat – sometimes with our webcams on too. There is also a lot in the news right now about “cloud-based innovation”. And Dell’s “Hack Day” is another example – and you don’t have to be onsite to participate. Regardless – some people thrive on the office environment. Some of my staff members had the opportunity to try both. One chose to come back to the office full time. The other two chose to stay WFH. In the end – I feel it is my job to be flexible and let each individual pick what is right for them and I’m proud to work for a company that let’s me do that.